I took delivery of this on 1.12.17. It's going to need some TLC but is a good solid car. 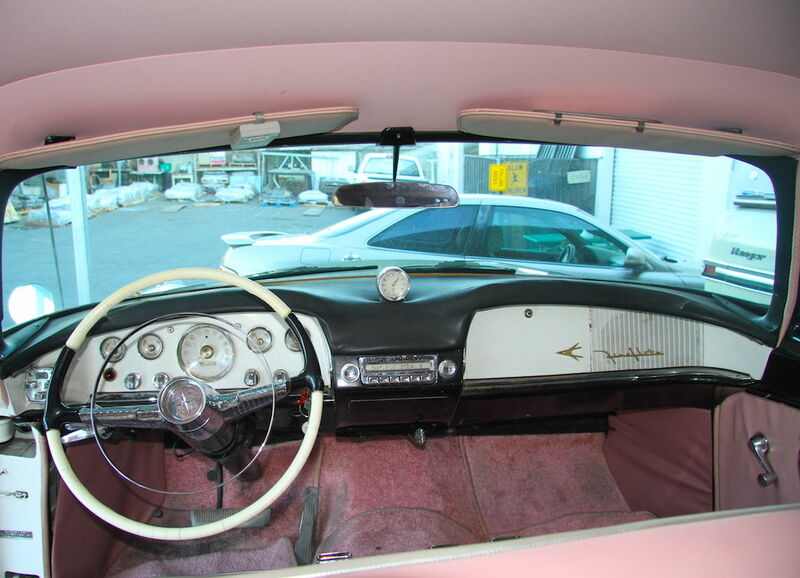 Production records indicate this car was built in the Los Angeles plant with a build date of March 16th, 1956. 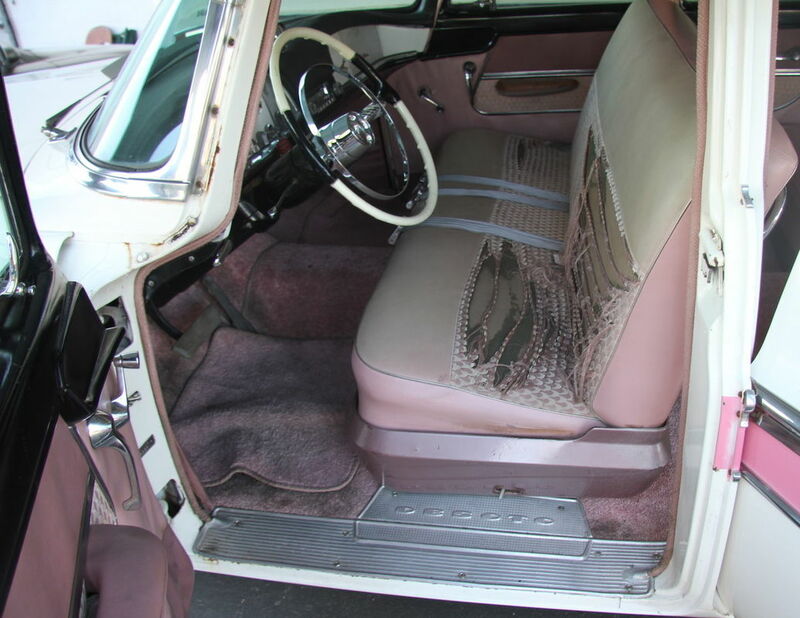 It was then shipped on April 5th to dealer Art Frost of Glendale, California. 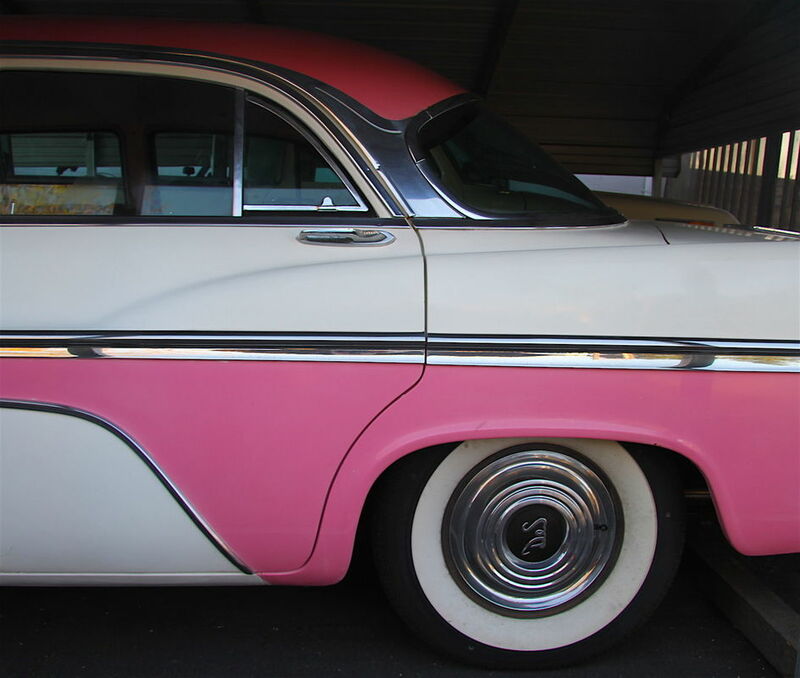 This DeSoto would have originally been White/Shell Pink but this pink is a bit brighter than the original Shell Pink. At some point I'll have it resprayed in the correct color. I'll replace these exhaust tips with originals that I already have. 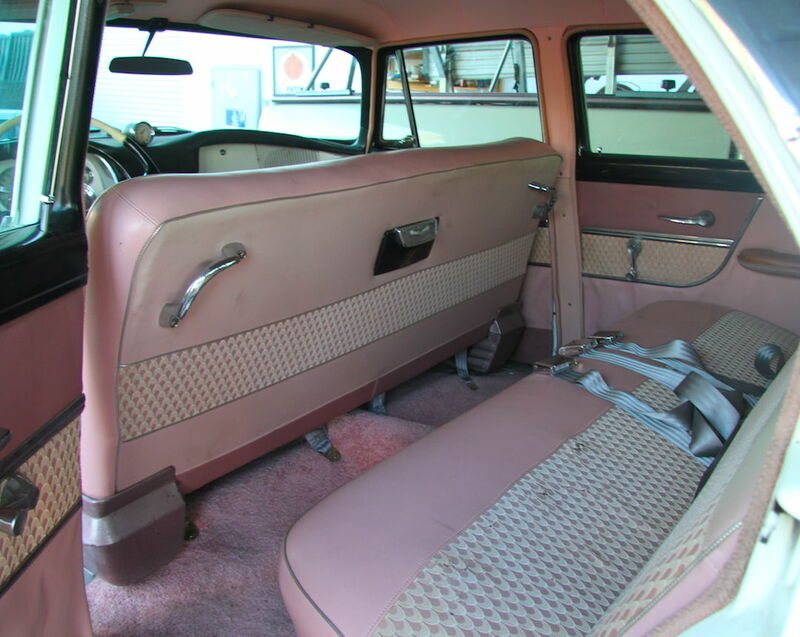 I'll have my work cut out for me fixing the interior. 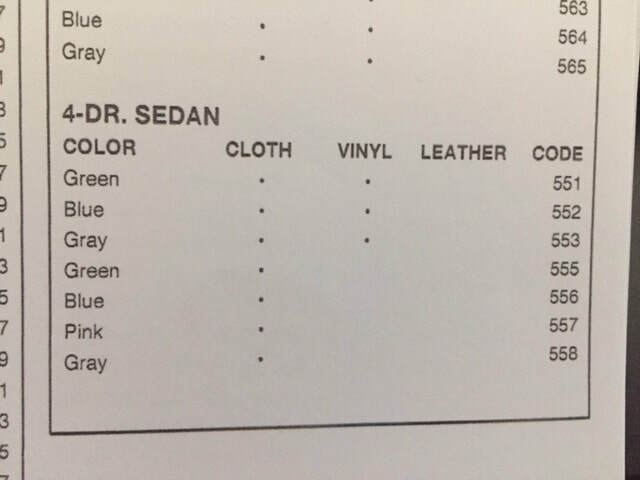 SMS has the correct fabrics for the seats. 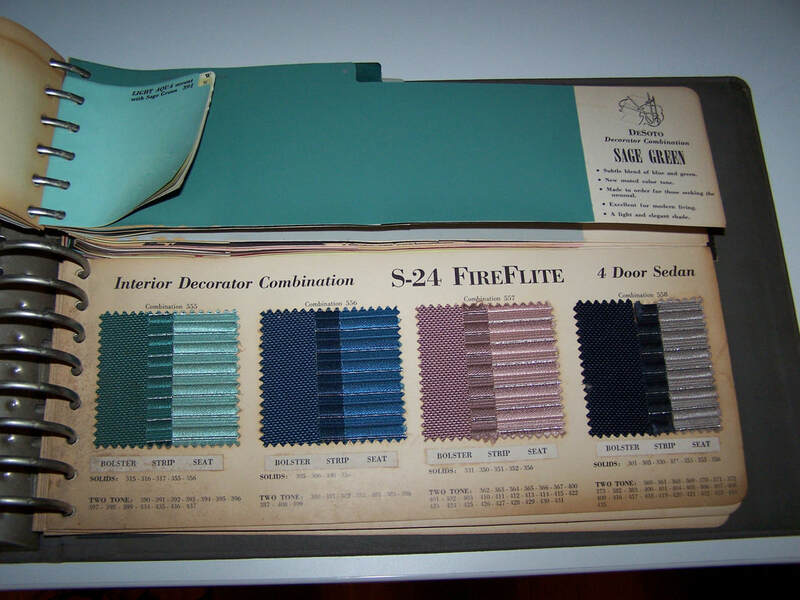 The current seats are not original but they were done to a high standard.....but maybe not with the best fabric. 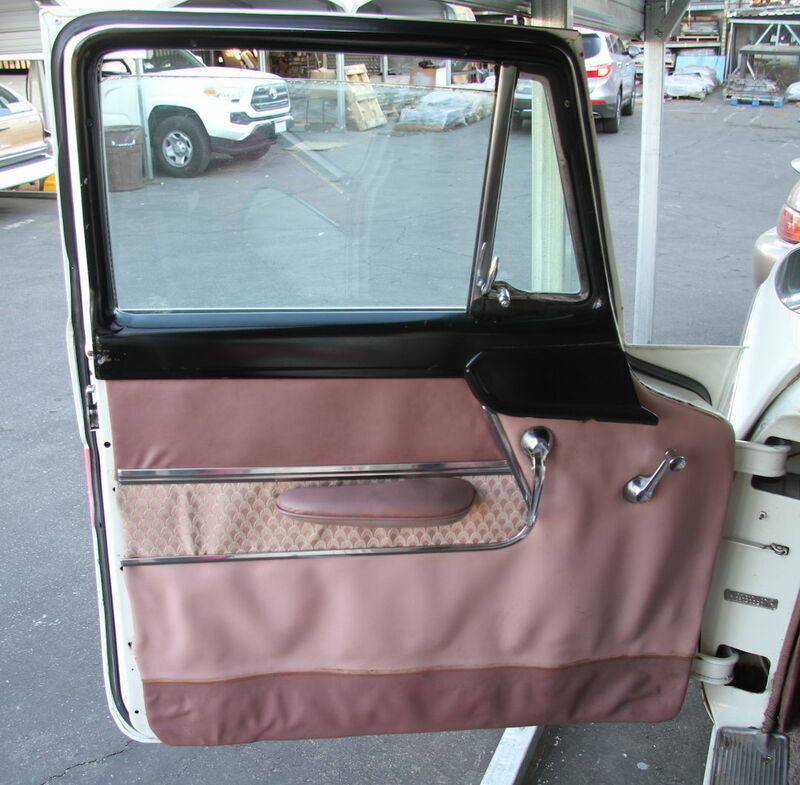 That is a pink headliner which would have come with the car when new. The only thing I've done to the car so far is to add the license plate frame and polish the back bumper and tail light lenses. 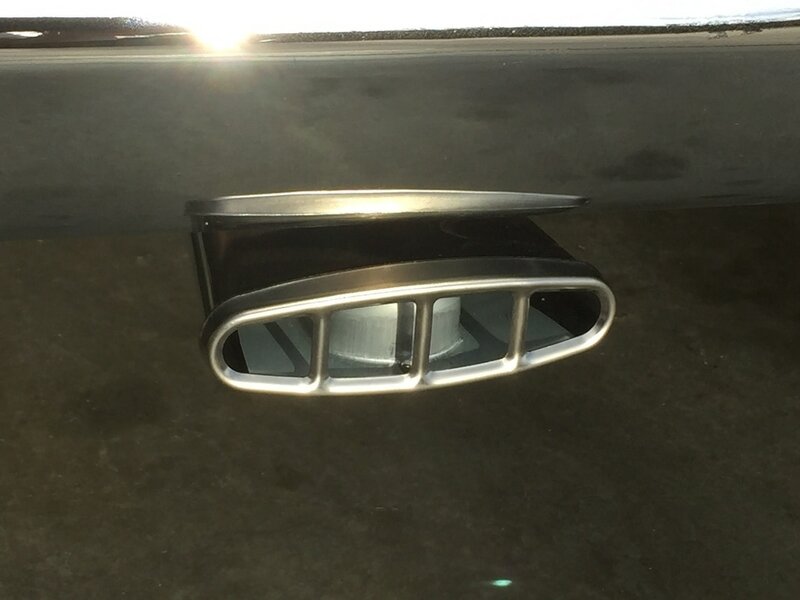 The exhaust tips above weren't correct so I installed a set of correct tips as seen below. 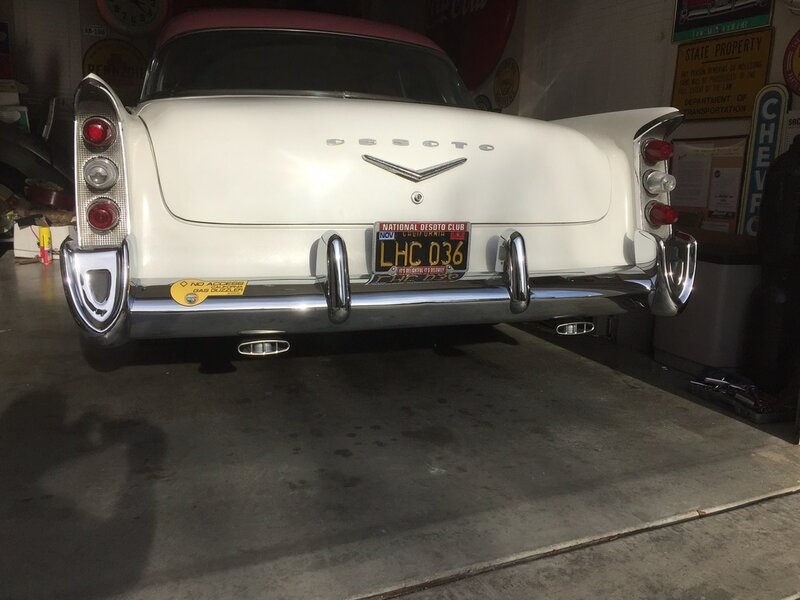 This is the Desoto Accessory picture of the 1956 exhaust tip. 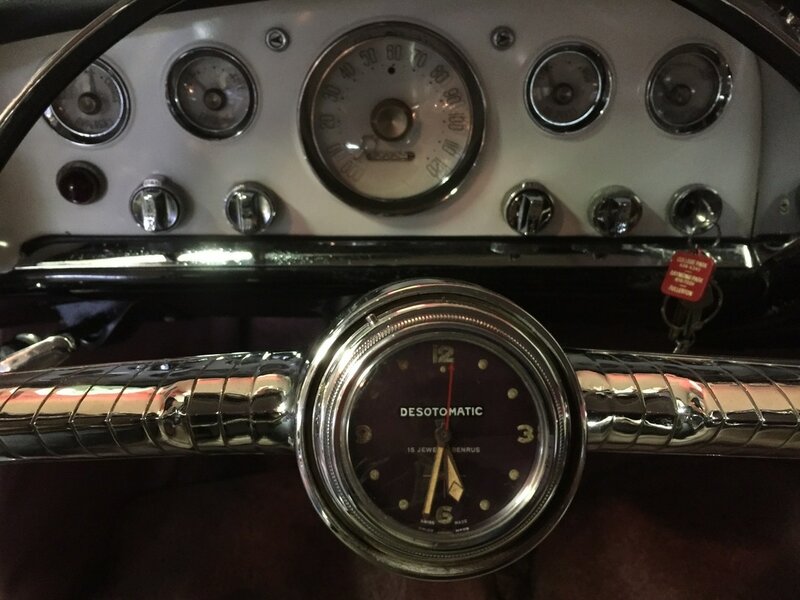 This DESOTOMATIC steering wheel clock was a neat accessory that was available on many Mopar cars. This one even works! 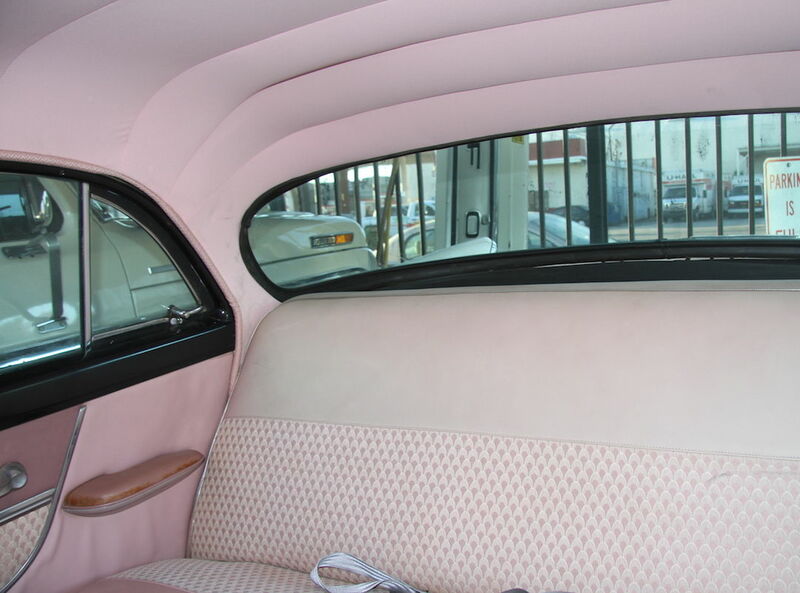 This shows the correct 557 code pink seat, door and headliner colors. New exhaust installed by previous owner. Looks like a quality job. Sad to say I never took the pressure washer to it and it would look so much better if I had. 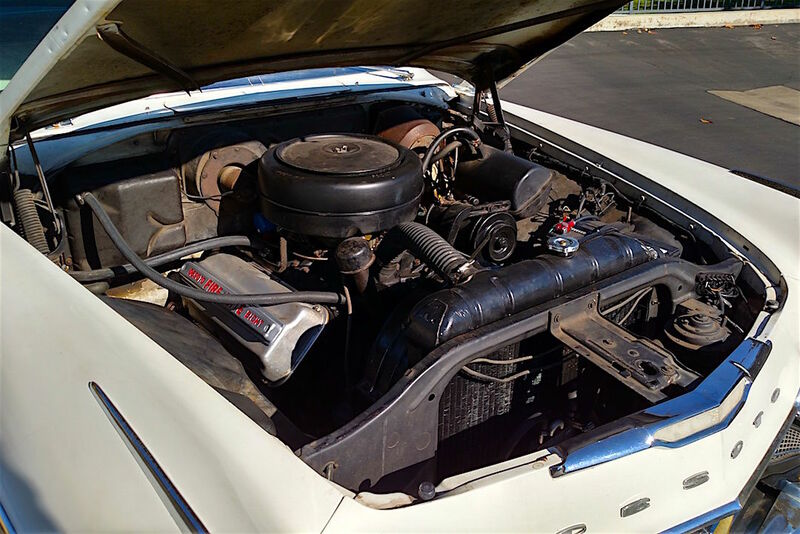 When the 57 Fireflite arrive the 56 went on the back burner. Not sure whether or not this sticker will get you in the carpool lane. Can't really see it in the picture but in the crest it says Die Hippie Scum. this was on the car when I got it. 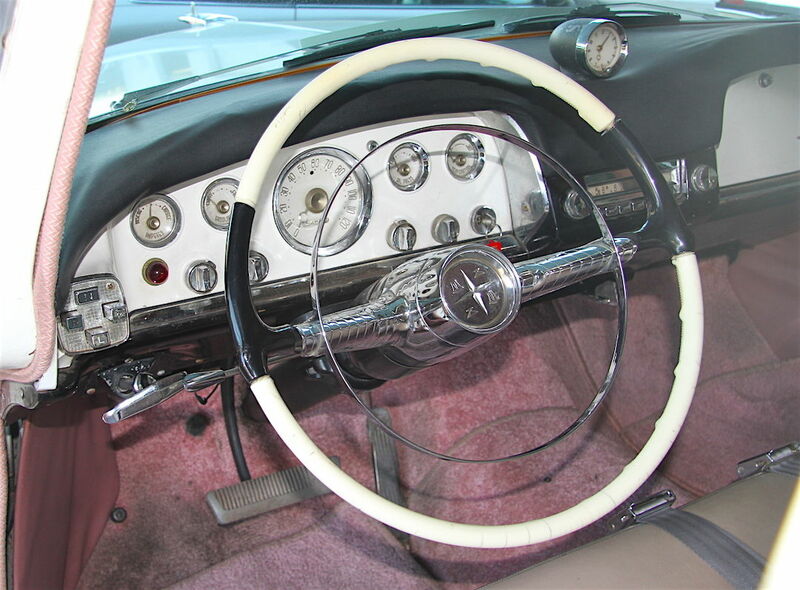 Production documents as provided by Fiat Chrysler Automobiles Historical Services. 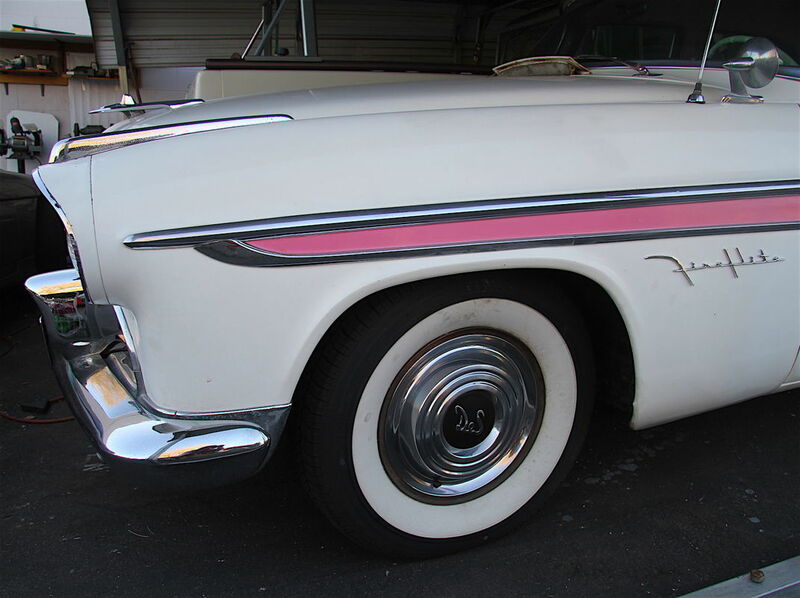 It's hard to see with the car is parked close to a wall but I've replaced the front plastic Desoto emblem. The previous one was faded so you couldn't see any of the details. This is the back side of the passenger rear fender. Never been touched and nothing hiding under undercoating. You can run a magnet all along the bottom and it sticks. 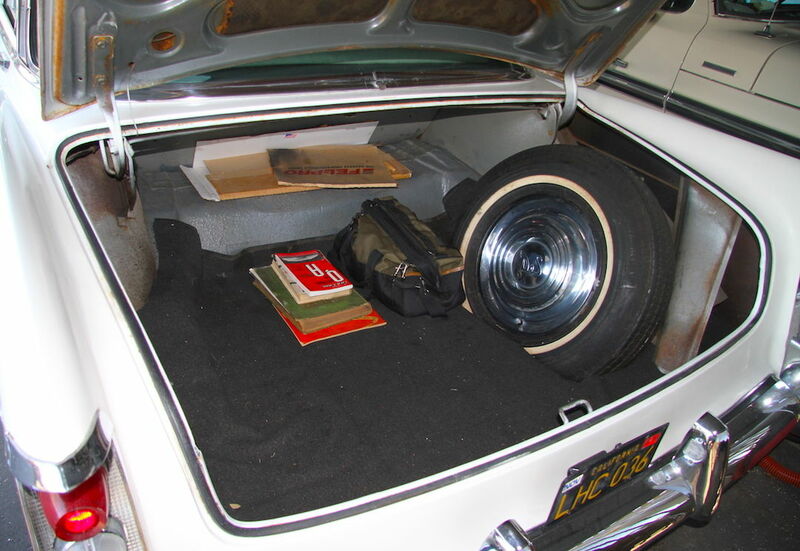 This is inside the trunk on the passenger side. All original paint along with some dirt. 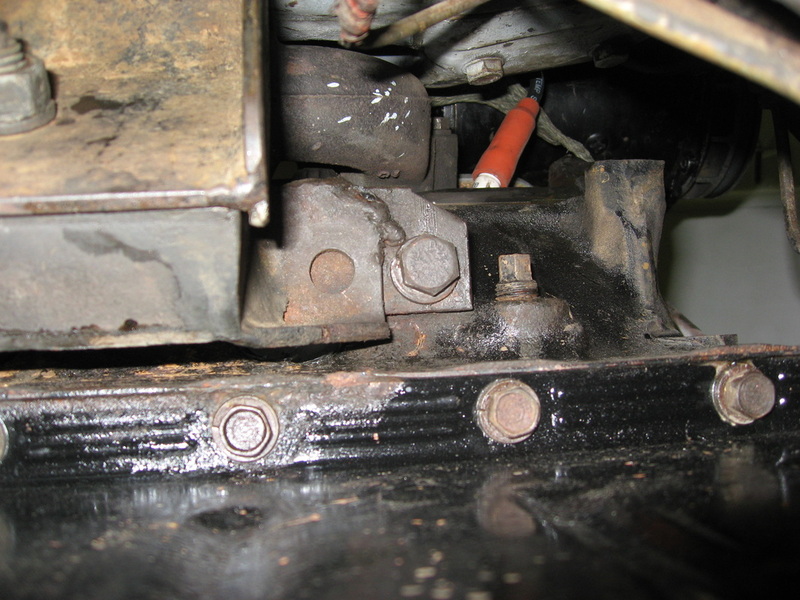 A pressure would go a long way to clean up the underside.